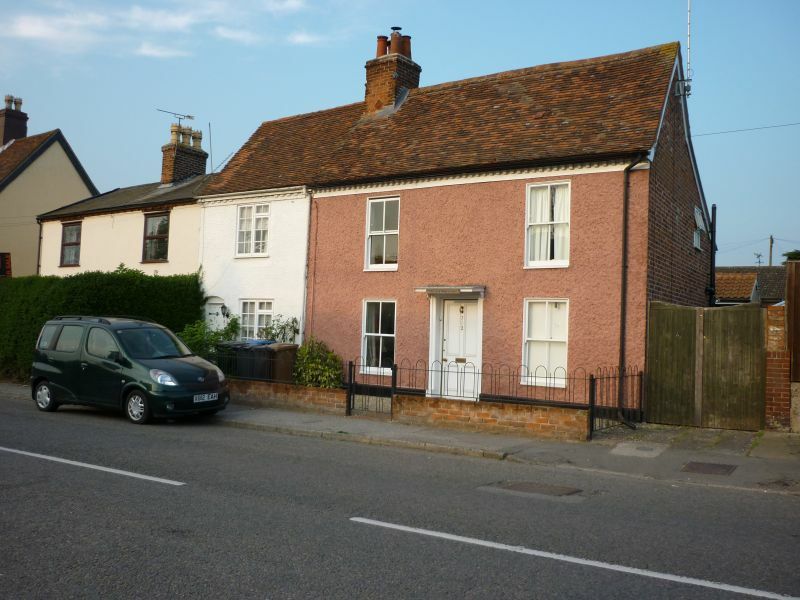 An ealrly C19 house red brick at the rear and faced in roughcast on the front. is worn away). Included for group value.